OK I don't want to be mean but I can't take the crazy talks about wifi posting, so here are some facts and debunked some of those myths floating around. Number 1 better router equal better signal. Wifi is like radio better signal needs to take place at both ends aka getting a better wifi router or access point helps but only so much. Example lets say that you have 2 antenna's on your old router and you have 4 on the new one it will have a stronger signal and be able to pick up packets from the wifi guest better. And now the question how much better? Well since I just happen to have two 802.11ac rated router's I did some testing than the answer is at close range ie five meters there is no difference with a steady 148mbps out of my 150mbps internet, however, once we put walls and range into the mix it starts to show. In our benchmark, we placed them 13m and two non-supporting walls for our 2 antenna's we now have a stable 11mbps vs our 4 antenna model with 48mbps. So we did the same test with 6 antenna router, that must be better right? well didn't see much of it. the test showed about 51.5mbps and this was almost across the board with wifi so not much better for another 150 Euro router. 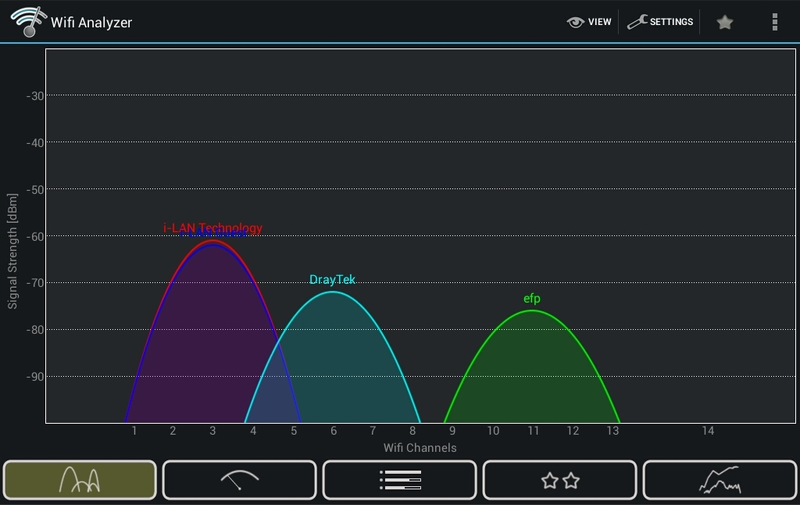 As we can see the range and the walls take a heavy hit on the performance, however, this was tested with a single antenna client what happens when I change the number of antenna of the clients? Woohoo 4 antenna client on a 4 antenna router got 138mbps so as we can see it helps if both ends can be upgraded however if you have smart phones or tablets that can't have more antenna's fitted this won't help you, so keep in mind if you have an old router with one or two antenna's replacing it will help but if you have 4 or more you won't see the benefit as much as adding to the client and the client upgrade was less than 50 euro. So the magic word here is MIMO 2x2 or better 4x4 if you can get it on the clients. Number 2 new routers will help with SSID congestion. No, they won't but what they do have is allot of smart features like finding the least congested channel, but that might not help, remember that it's checking for empty channels where it is placed not where your PC is so unless they are close by sometimes this won't help. Example, lets say close to your router there are only three SSID on channel 2 and 6 so it picks 11 as being free, however, close to your PC there are five SSID and they are channel 9 and 11 mostly this means the signal your router will get from the PC will be very weak and being on channel 2 or 6 would, in fact, be better. In these case's it's good to look at where you plan to have the PC and download to your smart phone something like WiFi analyser to check what is in use there vs where you plan to place the router. In my case, all the channels are in use but the least used one at both ends was channel 10 with only one other SSID on it. Number 3 Christmas trees and tinfoil. This one is the best, placing your Christmas tree with lots of tinsel between your PC and the WiFi Router will impact the performance but honestly, if you are placing a tree next to your WiFi you are either living in a place so small it won't impact you or you just are being silly. In the real world, we tested this and the effect at close range was less than 1mbps placing the tree next to the router and 10mbps at range, we also tested with the Christmas lights and well no change until was tried the scary lights that are hanging together with patched wires then we did seem some problems but frankly you shouldn't use those as they are a fire hazard and you might want to think about replacing your lights. Now the tinfoil suggestion, some people have suggested putting tinfoil behind your wifi router so that signals from your neighbours that interfere are reduced signal strength, well sounds at first like a good idea but very quickly become impractical as without knowing exactly where the neighbours WiFi is placed and how many overlapping signals you have this might only work out if you cover all the walls with tinfoil and by the way if you do that it makes your WiFi crazy as its gets echoes from itself. So I really don't recommend this. 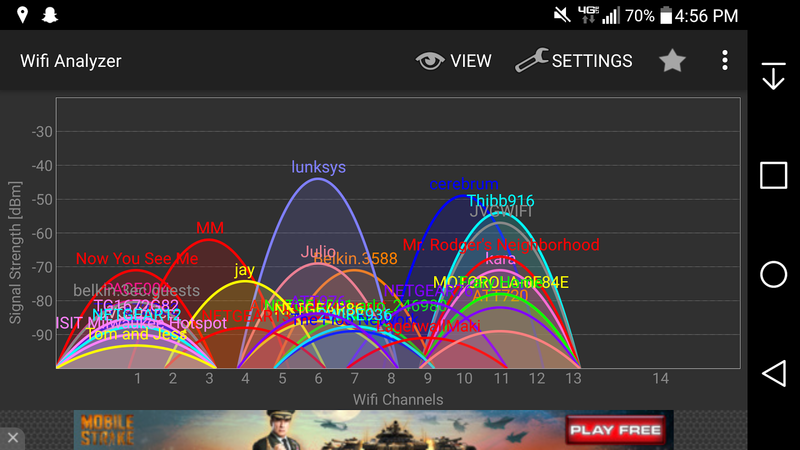 If your WiFi looks like this go 5Ghz trust me there will be fewer SSID on it, as fighting over 2.4Ghz is over. Number 4 the right settings. Having a dual band WiFi does help as there are more channel than a single band, but most of us aren't getting the best out of it because of the way drivers work. Example lets say you set your dual band WiFi router to 802.11ac only you will get some great performance, however, most of us have that one device that still can't go over anything better than 802.11n so we set it to mixed and the result is the better devices lost performance. in some phones and tablets, this can be changed to use 5Ghz only and this does help. To give you a real world example how much this helps when defaulted to auto sometimes the connection was 80mbps other times 40mbps when manually set to IEEE 802.11a/n/ac the speed was 138mbps more than 170% better for a one minute tweak. Another tip is to turn off "allow the computer to turn off this device to save power" as that can have some strange disconnect from time to time. These tweaks can also be done in Linux, however you'll have to check with the manual or support from the vendor how best to do this as there are to many to list here. Number 5 Things to avoid. There is a big list of things you should not put between your WiFi router and WiFi clients for the best signal here is a short list. Kitchens and Bathrooms, since unshielded electrical appliances like hair dryers, food mixers and microwaves can cause disruption. Other fun objects like fish tanks as the signal will have to travel in water, walls not just because it's a hard object but many walls have metal frames that reflect the signal. Fans and other electric motors, this includes toy cars, drones and baby monitors. Number 6 Things to do. Let's make the assumption you live in a big house or flat, have more than one access point, don't use extenders as they will cut the bandwidth by 50% so a cable between them is best. If you have a good smartphone basically anything since 2014 it should support dual band so use wifi app to see if the 5Ghz are in use if not then you might be the first and have good speed on dual band as 2.4Ghz is saturated these days, if you have no choice then at least pick channel with the least number of SSID running on it. Upgrade your devices with better wifi as it's not always the routers fault. 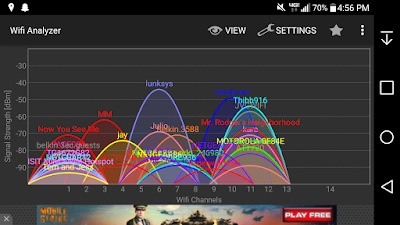 Check from time to time if new SSID have appeared and what channel they are running, sometimes you might need to change the channel as one person moves out and another comes and uses another channel. If you can place the router close to the most common area you are going to use then do it, as the best way to fight signal loss is staying close to the source. Hopefully, this has dispelled some of the faster WiFi issues and stopped some of you buying a new router for no reason. If on the other hand, you are not running 802.11n or 802.11ac dual band then you should be, these are not expensive as most new routers with this are under 100 euro and some even under 50 euro.